This is a timeless talk from Dr Stephanie Dowrick on the different PRACTICAL expressions of love that we all need – and can all give. They include hospitality, patience, forgiveness, appreciation, joy. Please join us in creating a more loving, appreciative, and certainly more joyful world. Your comments are always welcome on Stephanie Dowrick’s Facebook page. 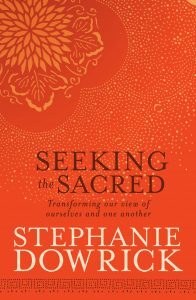 We also highly recommend her books Forgiveness and Other Acts of Love, The Universal Heart and Seeking the Sacred, for further depth and insight. They are available from bookstores and also on-line from the Stephanie Dowrick discount bookstore administered by Collins/Seek.